Last weekend at the Pop Music Conference in Seattle, music journalists, writers, and academics gathered to share papers and trade conversation about the frontlines of music today. 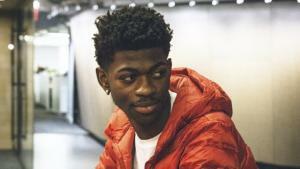 Perhaps not surprisingly, Lil Nas X and the recent controversy over his meme-ified country trap song “Old Town Road” kept popping up in conversation, with one music critic from Slate rushing off in the middle of a panel to file an article on it. If you haven’t heard this song yet, here it is. In a sparse minute and fifty-three seconds, set to footage from the video game Red Dead Redemption 2, Lil Nas X blends dusty Western imagery with hip-hop inflections, mixing tractors and lean, Gucci and cowboy hats. It seems silly at first, but it’s catchy, and there’s a bit more weight to the lyrics than you might think. It’s a song that seems to breed controversy. Born of memes and video-sharing app TikTok and yee yee juice, it’s custom-made to alienate anyone older than 25. It’s proved to be a lightning rod, too, for sparking conversations about race in Nashville’s country music industry. Once Billboard pulled “Old Town Road” from the Billboard country charts, articles poured in from every major publication lending opinions on whether this song should be considered country. A lot of the articles pointed to the larger “yeehaw agenda” in popular culture that’s been bridging a country cowboy aesthetic with communities of color. 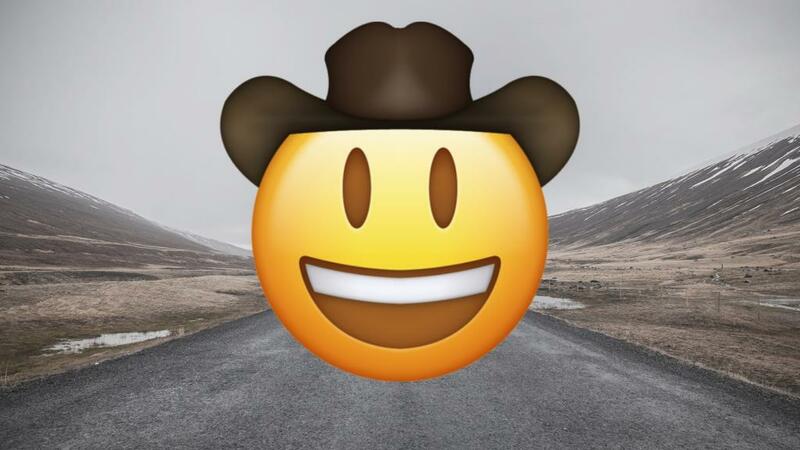 Cardi B and Solange have been leading this charge, and some writers are saying this all dates back to a few years back when the cowboy hat emoji was first introduced. That seems a bit strange, since it’s not too hard to find examples of black cowboy culture in American music going back years, mainly because black cowboys have always been a huge part of the American West (still are, too). You may not remember them thanks to John Wayne-era Hollywood whitewashing, but historically speaking one in four cowboys in the West were black, not to mention the large numbers of Native American and Mexican cowboys. The West was a much more multiracial world than we imagine now, something that drove musician Dom Flemons to record an album full of black cowboy songs and history, released last year, as a kind of statement. Flemons was shocked when he first heard that so many American cowboys were black, but recently Americans have been more exposed than ever to this multiracial West due in large part to one main engine of change: the cowboy video game Red Dead Redemption 2, released last October by Rockstar Games. This is the same game that Lil Nas X uses for all of his imagery for his song on YouTube, and, added to the song’s catchiness and meme-ification, this is really the other half of why he’s been so quickly embraced by the American mainstream. Red Dead Redemption 2 has been actively changing how we think of American Western culture, and how we think about country music and Americana. One of the biggest game titles of the year, Red Dead Redemption 2 was so hotly anticipated that it sold 17 million copies in its first week, and as of February of this year has sold 23 million copies total. An “open world game,” Red Dead Redemption 2 encourages players to explore a fantastically detailed map, immersing themselves in well over a hundred hours of gameplay in a storyline with one of the best video game heroes I can remember, Arthur Morgan. Arthur’s white, but the Van der Linde gang he rides with prominently features people of color. One of the most endearing and funniest parts of the game comes early on when Arthur and African American gang member Lenny crash through town on a wild drunken bender. Along with Native American gang member Charles Smith, Arthur fights for Native rights against evil oil barons, and Mexican gang member Javier Escuela’s nighttime serenades around the campfire include a great rendition of “Cielito Lindo.” The game tackles race pretty fearlessly, with Arthur able to murder at will when he finds secret Ku Klux Klan gatherings, plus some thoughtful moments showing how people of color were received in the old West, both good and bad. Arthur’s a progressive character, or can be played as such, and the game aims to show who got the short end of the stick during this time period, without the aw-shucks romanticism that so many Westerns have. And though these instances may seem small, there’s nothing small about being able to ride through a vision of the American West that finally pays homage to what that West actually looked like, rather than the whitewashed version we’ve all been fed. At the Pop Conference, NPR journalist Jewly Hight’s paper traced the history of the narrative that country music is the creation and property of whites only, from the earliest divisions between “hillbilly” and “race” records to the present-day example of Billboard axing Li Nas X from the country charts. She spoke to how country has struggled with this narrative and showed some of the engines of change that are pushing country toward more diverse artists. Part of that change comes from redefining the American West, and I’d argue that Red Dead Redemption 2 is key to that by virtue of its intensely immersive experience. Lil Nas X’s song clocks in at less than two minutes, but via the game you can live in a version of what Lil Nas X had in mind in a fully fleshed-out world for days and days. Watching “yeehaw challenges” on YouTube or TikTok, which involve people changing into crazy Western gear, makes me think of all the time I spent in Red Dead Redemption 2 changing Arthur into fancy new Western clothes, or fighting over a new cowboy hat I wanted for him. Musically, Red Dead Redemption 2 breaks new ground by showcasing time-period-appropriate folk music being played by multiple artists of color. Known as “non-player characters” in video game lingo, these minor characters are sprinkled throughout the world. Walking the streets of the large city Saint Denis, you may hear a fiddle coming from a back alley, and heading behind a building you’ll see an African American woman fiddling while her neighbors dance. Riding by some row houses, you might find an African American man playing the banjo. When so few artists of color are present in American roots music today, embodying them frequently in a video game has a normalizing effect and doubles as historically accurate as well, since artists of color have always carried the lion’s share of the influence in early American music. The period music is fantastically rendered; you can actually watch the musicians play the music and follow along with their fingers, something I’d never seen before in a game. This period music can be found throughout the game, but for the bigger moments, Red Dead Redemption 2 chose to focus on two key songs. Each comes at a pivotal moment in the storyline, with major changes affecting Arthur Morgan. After a player’s many hours invested in this main character, these changes hit hard, and the game draws out each song, allowing Arthur to ride half the length of the map while the full song plays. The first song is “Unshaken” from D’Angelo, a beloved figure in modern R&B. The second song is “Cruel Cruel World,” sung by Willie Nelson. There are other songs in the game (including one with Rhiannon Giddens and Tim O’Brien, and one with rapper Nas), but these two main songs and two tentpole artists show the musical vision of the game, moving between a countrified blues for D’Angelo and a grizzled twang for Nelson. Both can exist in modern country, side by side, riding into the sunset on their horses. And when you listen to both together, maybe the vision of Lil Nas X starts to make a bit more sense, showing a way forward.